Soft Cover, 418 pages, 5.75 x 9.75. Finally! 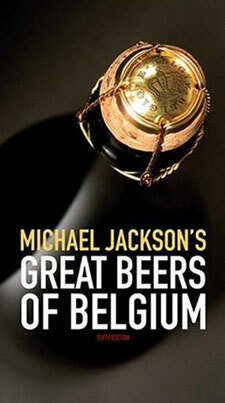 Here is a new US-published edition of Michael Jackson's Great Beers of Belgium - the definitive guide to Belgian beers and their brewers. Jackson's extraordinary passion for Belgian beer shines through in every aspect of this engaging work, from the personal stories of the people behind the beers to the careful descriptions of their flavors. Revised and updated shortly before his death in August 2007, this work represents the pinnacle of Jackson's meticulous research and masterful writing, presented in a beautifully illustrated visual environment. With a new forward by Brewers Association President Charlie Papazian. This sixth edition is the first by a US publisher since 1998. In the intervening years, Jackson extended the text with additional listings and updates and more than 300 photographs were added showing the beers and their brewers.